Ouest France is a number 1 daily newspaper, produced in 53 regional editions with 2.5 million of daily readers. In 2013 they were looking for a solution to convert from print to digital. Their readers were increasingly searching for digital publications and they wanted to expand reach and go mobile. Working with Aquafadas they created a bespoke digital publication system and a dedicated app for mobile readers, all of it in a few months from signing. 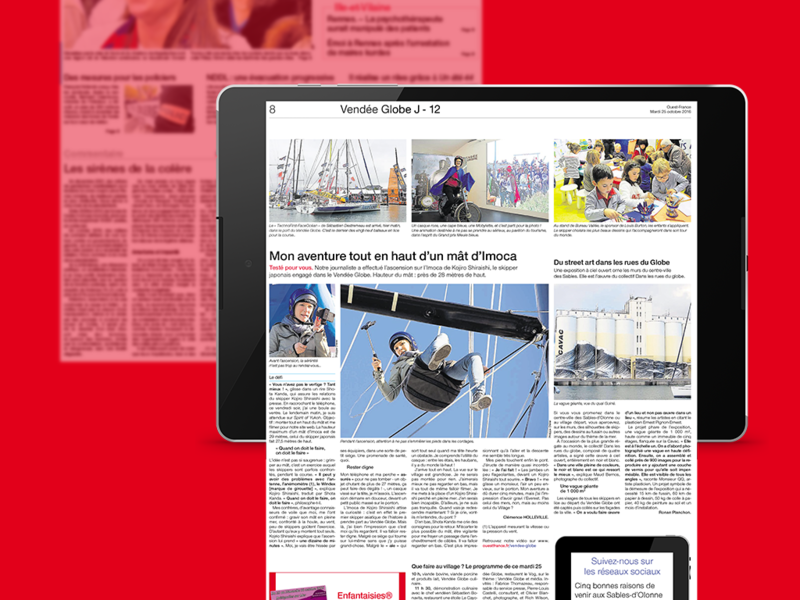 To optimise time consuming print to digital conversion workflow, their paper newspapers have been saved as PDFs and then adapted to reading on mobile (Article Reflow View) to offer optimal and intuitive user experience. And all of this fully automated. Additionally to allow for maximum flexibility, Ouest France decided to use a SDK from Aquafadas (software development kit) to be able to create further changes on demand based on their specific needs. Thanks to new technology, Ouest France were able to create various newspapers really fast and automatically. 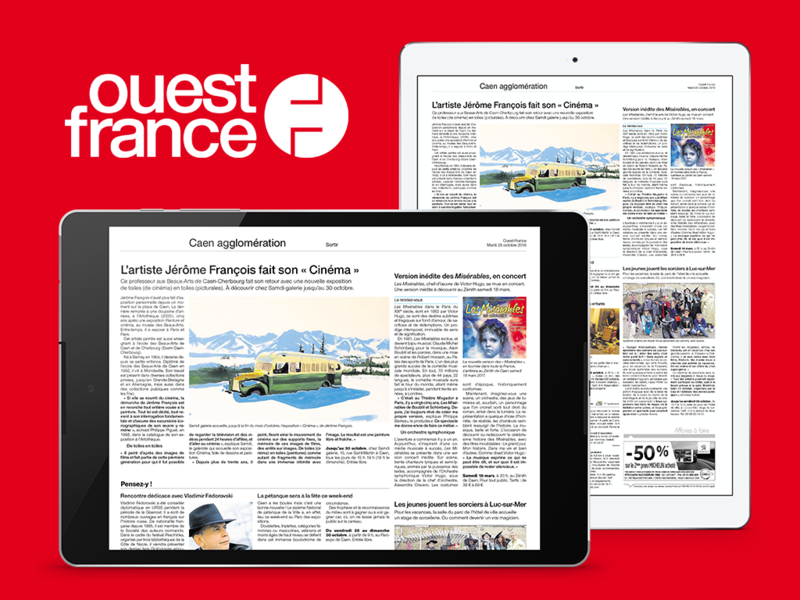 Additionally, following positive results Ouest France decided to continue digitisation of their other magazines and amongst some of the newspapers converted with Aquafadas tools are: Le Courrier de l’Ouest, Presse Océan and le Maine Libre. And they even went further and created their own event apps benefitting from coding free apps tools.